“First of all it is important to underline the fact that all these terrorist organizations are supported by US intelligence. In fact the mainstream media now has acknowledged that these rebels are supported by the CIA. The Wall Street Journal says Russian airstrikes in Syria targeted CIA-backed rebels.”“These rebels are terrorists including the al-Nusra Front. What I think is at stake here is that the Russian air force is now waging targeted attacks directed against al-Nusra in coordination with the Syrian government and what the US is saying is that in a way Russia is going after America’s good-guy terrorists rather than the bad-guy terrorist. 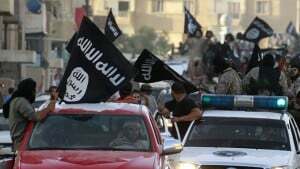 They are making a distinction between ISIL and other terrorist organizations, all of which are covertly supported by the US,” Chossudovsky told Sputnik. He went on to say that Russia is targeting the foot soldiers of the western military alliance, “Basically the mercenaries that have been recruited right from the beginning by NATO, the Turkish High Command with the complicity of Saudi Arabia, Jordan and Israel.”Chossudovsky reminded that in early 2012 Washington categorized al-Nusra as a terrorist organization but now it is supporting al-Nusra front officially. He said that Russia is involved in a very precise bombing exercise rather than carpet bombing the country as United States has done, the media is now accusing them of targeting civilians. It is a double discourse with no proof of it. Chossudovsky added that the US has been bombing Syria without the authority of the sovereign government and in violation of international law.